The NIH Data Commons whose purpose is to accelerate new biomedical discoveries by developing and testing a cloud-based platform where investigators can store, share, access, and interact with digital objects (data, software, etc.) generated from biomedical l research. By connecting the digital objects and making them accessible, a Data Commons is intended to allow novel scientific research that was not possible before, including hypothesis generation, discovery, and validation. The FAIR Data Principles which are a set of guidelines that are designed order to make data Findable, Accessible, Interoperable and Reusable (Wilkinson et al., 2016). These principles provide guidance for scientific data management and stewardship and are the decisions made are critical to all stakeholders that wish to participate in the current digital ecosystems. ADIDS – stands for Autoimmune Disease Institute Data System, which is a customized Clinical Research Data and Sample Management System developed based upon Daedalus Software, Inc. Biomaterials Management System. This system forms the core system integrating clinical data, consent tracking for clinical data and sample use in clinical/translational research for the Autoimmune Disease Institute. 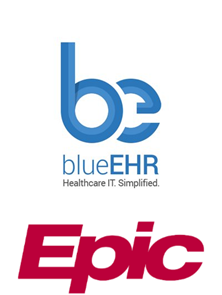 EPIC – the group supports interfacing with the current EMR utilized in the MSCE, an instance of EPIC managed by SSM Health Systems (Saint Anthony’s) to query and report information and capture clinical data for research purposes into the Autoimmune Disease Institute Data System. BlueEHR – a highly customizable Electronic Health Record used to support the Rheumatic Diseases Clinic. This system was developed by the Clinical Informatics group to support patient care, but is also used to query/transfer clinical data for research purposes into ADIDS. Clinical Laboratory Information Systems (CIS )- Clinical Immunology System is and information system developed to support both the Clinical Immunology laboratory and the Myositis Testing Laboratory as part of their CAP/CLIA operations. The system has a MS SQL-Server database backend, with a MS Infopath front-end GUI. The system manages patient/referring Dr. information, testing results and billing. Electronic Laboratory Notebook (SciNote) a new project currently being implemented by this group is a version of an Electronic Laboratory Notebook called SciNote. This system is being developed to aid in standard protocol documentation, capture of experimental metadata, data processing, version control, and data archival. Current implementation is occurring in Human Phenotyping Core. DataMart/Data Warehouses to support long-term archival of completed research projects, or to support clinical/translational research data sharing through production of curated, sort-able and analyzable queried data from any of the datasources described above, this group has the tools and detailed understanding of the data dictionaries for each of the key data systems described above. They provide data to end-users as either .csv files, large excel files or through an i2b2 based data warehouse called TranSmart.